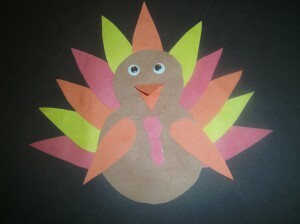 This is a fun Thanksgiving craft that we did with our daughter last year. It was perfect for her age group and would be a great activity for Preschool teachers to do in class or send home as an interactive activity for parents/children. 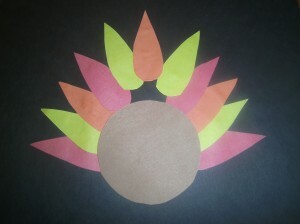 We've seen so many amazing crafts for Thanksgiving, but most of them look too complicated for our 4-year old daughter. This one was right on target. All of the cutting and gluing was perfect for developing her fine motor skills and it gave us a chance to sit down together and do something fun that didn't involve a digital device or screen. You could easily make this craft from scratch just using some construction paper, but to make it easier for our daughter, I created some templates for her to color and cut out. Just click the pictures below and you can print these out for use at home or in the class. Cut them out, color the parts, and assemble them on a separate piece of construction paper. These directions are for making the Turkey from scratch. You'll need construction paper, scissors, glue, and some googly eyes. 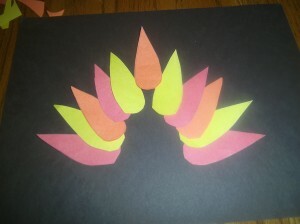 Draw some feathers on the construction paper and then cut them out. Have your students assemble the turkey by gluing the feathers down first. Use the body as a template to get the spacing right. 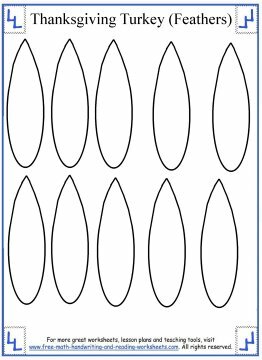 Draw a large circle for the body of the turkey. Cut then glue the body on top of the feathers. Leave some feathers uncovered for now. The head will cover them later. Draw a smaller circle for the head, cut it out, and glue it over the body. Draw two wings and a wattle for the body. 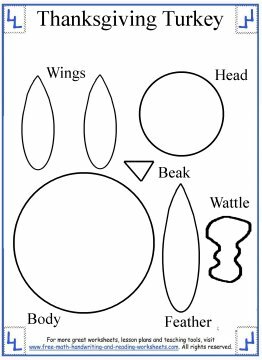 For a bit of depth, try cutting a diamond shape for the beak and then fold it in half before you glue it on. We also added some Google Eyes, because the kids find them absolutely hilarious. If you end up making this craft with your child, be sure to post a picture here or on the Facebook page. For more Thanksgiving art projects, games, and activities, try the pages below.